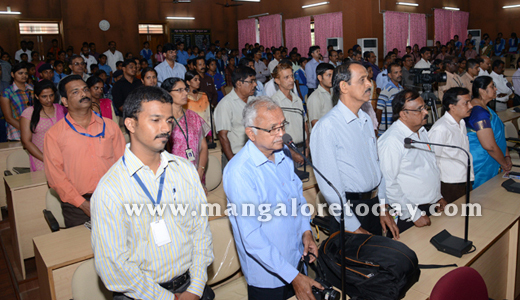 Mangaluru, Mar 04, 2015: Speaking at the ’Parisara Mitra School’ award conferring ceremony 2014- 2015, organised by district administration, Karnataka State Pollution Control Board, District Legal Service Authority, Department of Public Instruction and Pilikula Regional Science Centre at Nethravathi auditorium in Zilla Panchayat at Urwa Store here on March 3, Karnataka State Pollution Control Board Chairman Vaman Acharya said that normally thinking is to blame industries when it comes to pollution. According to statistics, 16 per cent of pollution is caused by industries and remaining 84 per cent by others. However, it is not too late. Whatever damage caused by the modern scientific technology can be rejuvenated using the same. Children can just start with small activities and self-evaluation. Be confident that we can retain our India clean, he said. He said the strength of students is great. The school which won ’Parisara Mitra School’ award can convert the village into ’Parisara Mitra village’. But it should be the combined effort of students, parents and teachers - people. Last year around 4,68,000 students had participated in the competition and this year it has increased to 7,28,000. Minister for Forest, Environment and Ecology B Ramanath Rai lamented that though there are people concerned with environment, there are also people who negotiate environment. So, the environment department has three tasks of development, service and control. To make the future more hopeful, developing awareness about environment among children is a must, he said. Meanwhile, Rai said that if everyone keeps his environment clean, achieving clean society is not an impossible thing. Zilla Panchayat President Asha Timmappagowda requested the government to increase the ’Yellow school’ prize amount from Rs 1,000 to Rs 5,000. 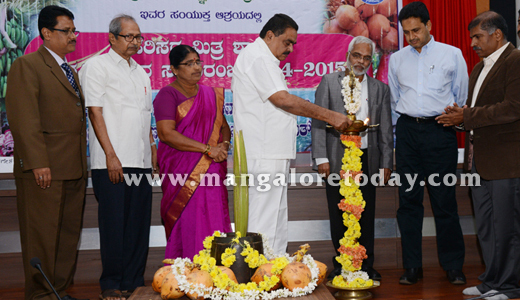 Pilikula Regional Science Centre Director Dr K V Rao said there was huge support to ’Parisara Mitra School’ award competition, which was held for the first time in Dakshina Kannada. Aroud 30 schools were selected in the first phase. In the second round, a jury panel of Dinesh Naik, Gopalakrishna Bhat and Purushotham selected 10 schools as ’Yellow schools’, 10 schools as ’Green schools’ and one school as ’Parisara Mithra School’. Note : ’Chinnara Vanya Darshana’ in 100 taluks Forest, Environment and Ecology Minister B Ramanath Rai said that for the first time State government will launch ’Chinnara Vanya Darshana’, a one-day tour to the forest for high school students from this year. In the first phase, the programme will be implemented in 100 taluks of the state, which are in the edge of forest. During the tour, along with information and awareness on forest and environment, there will be competitions, he said. 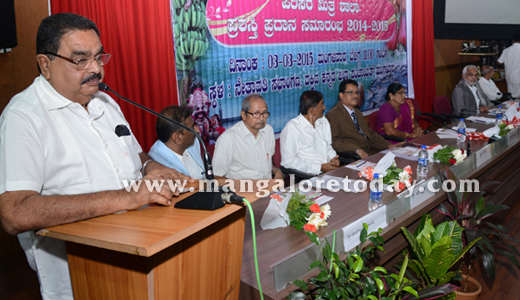 The minister added that Urban Ecological Park will be developed in Mangaluru with the help of Pilikula Nisargadhama. It would help to create awareness on pollution control, environment protection and so on.